SAN FRANCISCO -- The largest container ship to visit the U.S. has passed under the Golden Gate Bridge in San Francisco en route to the Port of Oakland. The nearly quarter-mile-long megaship named the Benjamin Franklin set sail from China earlier this month and made a stop in Los Angeles after Christmas. It cleared the famous bridge Thursday with about 20 feet of space to spare. The megaship can hold up to 18,000 20-foot shipping containers. 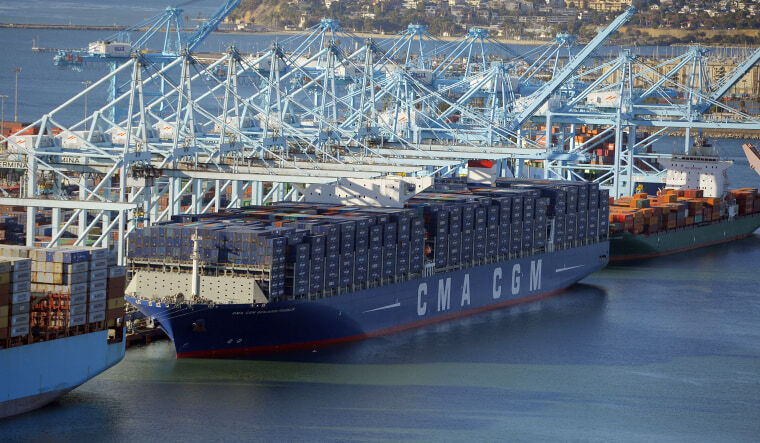 The largest ships serving the U.S. can carry 14,000 containers. The Franklin's U.S. visit is considered a trial run. Officials want to ensure that the vessel can be berthed and cargo discharged efficiently. The megaship is expected to set sail for China on Sunday.